Q. What is a PhotoFacialT Treatment ? A PhotoFacialT Treatment is a series of full face, gentle pulsed light treatments intended to improve the appearance of sun damaged and aged skin, as well as reduce facial and neck redness and flushing. 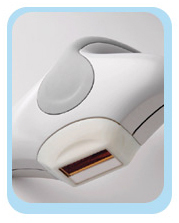 PhotoFacialT treatments result in a more youthful-appearing skin. PhotoFacialTtreatments were developed to consistently and predictably improve the visible appearance of the skin with little or no down time. Q. Who are the best candidates for IPL Photofacial Rejuvenation ? Q. How does the treatment work ? The Photo Facial or the IPL (Intense Pulse Light) procedure, as it is also called, is a no-recovery, mini-procedure based on light therapy. High intensity pulses of light penetrate the skin removing skin imperfections without affecting the top layer of the skin. By not breaking the skin barrier, like Laser treatments do, no redness, blisters or other side effects are experienced with this treatment. In the case of hair reduction, the high intensity light targets the hair follicle at its root, causing the hair to stop growing. Because of the specific affinity to hair pigment, the surrounding skin is not affected, making the treatment recovery free and eliminating the pain usually associated with waxing or electrolysis. Using the spectrum of IPL appropriate to the clinical objective, light energy is transformed to heat energy. The chromophore in the target tissue - such as hemoglobin or pigment - responds to the heat energy. The target is fragmented and absorbed without damage to the surrounding tissue. Q. How many treatments will I need ? Depending on the area treated, there will be a series of five to eight treatments. Treatments usually take from 15 to 30 minutes and are administered in the doctor's office. Q. What results can I expect ? Q. What will recovery be like ? Treatment improves sun spots, age spots, dull complexions, uneven pigmentation, large pores, sun damaged skin, and early signs of aging. Treatment improves red flushing skin, rosacea, and broken capillaries. Enjoy smoother skin with a more even tone. Minimal discomfort during treatment. Resume regular activities immediately. Q. Do Photofacial hurt ? Q. Are Photofacial treatments safe ? Most side effects are mild and of short duration. These can consist of short-term discomfort during the actual treatment. There is usually additional redness immediately following treatment, lasting less than 24 hours in most people. On rare occasions, it may last up to three days. Mild blistering and bruising is possible, but in our experience occur in less than 1% and usually clear very quickly. Post-treatment pigmentation has been noted on occasion, but is highly treatable and fortunately very rare. Even more rare is a decrease in pigmentation of the skin after treatments. This also clears in time as well. We have never seen a scar or an infection of the skin after treatment, but it can occur. Swelling of the face for 3-5 days occasionally occurs and is most common in severely sun-damaged skin due to reduced quality of connective tissue around the blood vessels.